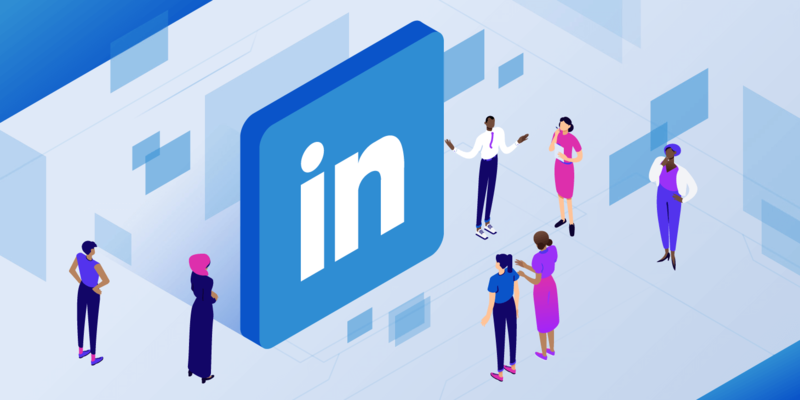 In its early years, LinkedIn was simply your online Rolodex — a place where you could keep track of colleagues, business connections, and others in your network. Today, nearly 15 years after its inception, it stands as so much more. LinkedIn, acquired by Microsoft in 2016, is now a marketplace to offer your professional services, a place to source your newest employee, a place to publish and showcase your best content and most importantly, a place to market your business. Currently, LinkedIn has over 562 million users all around the world, spanning across 200+ countries and territories. These users are ready and waiting for you to leverage. LinkedIn users are logged on, browsing, and actively checking out the site, too. A recent study examined the frequency of LinkedIn use among mobile users in the United States. 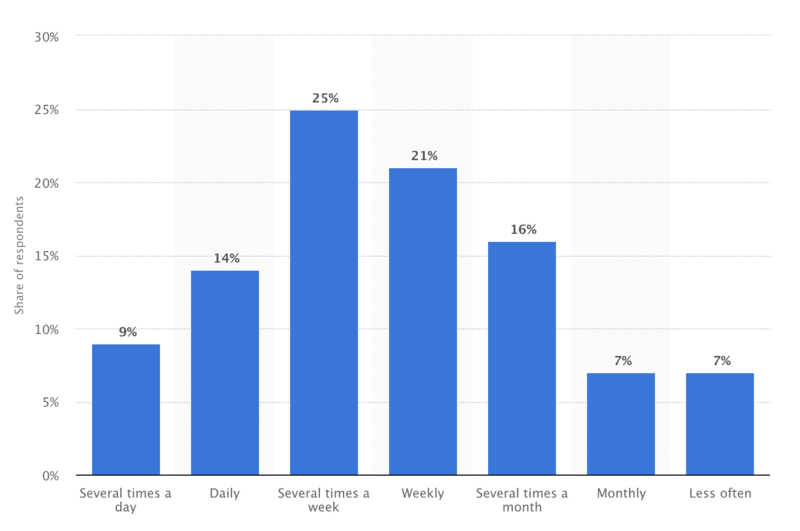 As of the 2nd quarter of 2017, 48% of users check the site several times a week or more. 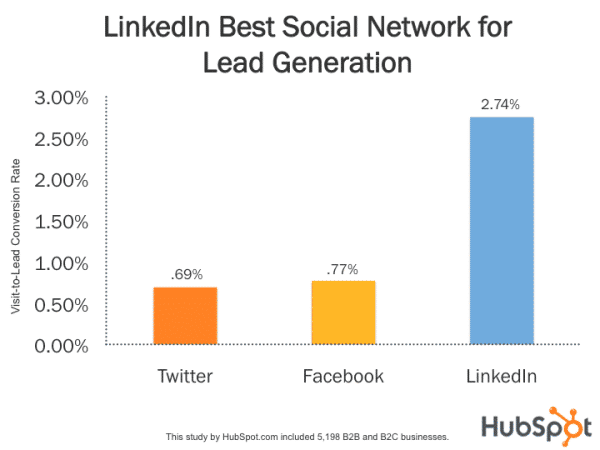 In an experiment across all social media sites that involved 198 B2B and B2C businesses, LinkedIn had the best visitor-to-lead conversion rate. LinkedIn achieved a conversion rate of 2.74% while Twitter (.69%) and Facebook (.77%) lagged behind. But how does LinkedIn compare to the other social media sites? Despite having fewer active users than Facebook and Twitter, it still soars ahead of them when it comes to converting visitors to leads. Many are seeing super high enagement on LinkedIn. I’ve got a shameful confession: I’ve become a regular LinkedIn poster. The engagement there is unreal. And I’m getting legit leads with money who value what I do. There are many ways to leverage LinkedIn to earn high conversion rates like the ones above for your business. Here are some tactics you can use to effectively market your business on LinkedIn. 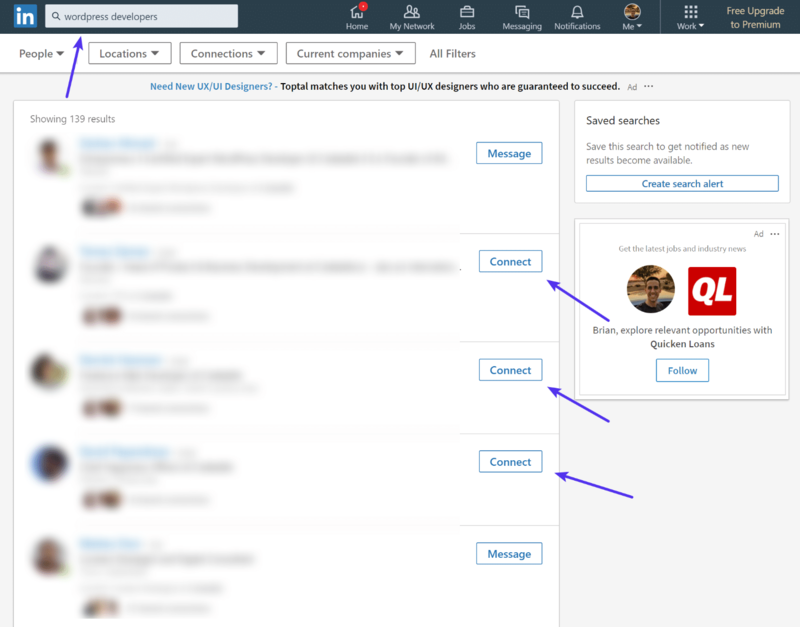 On LinkedIn, your company page serves as a hub for your customers. Your page will include basic company information, company updates, and so much more. When it comes to uploading your company’s profile picture (usually a logo), you need to make sure it is 300 (w) x 300 (h) pixels to ensure it fits well in the frame. Your profile picture not only appears on your company page but also on all of your employees’ personal pages, too. Make sure it is a high-quality photo that is an updated version of your logo like Nike uses. Marketo even uses a transparent background. Now that you have your company profile picture ready to go, you can move onto adding a well-designed cover photo. LinkedIn recommends that your cover image is 1536 (w) x 768 (h) pixels. They require a minimum of 1192 (w) x 220 (h) pixels. Your cover photo should relate to your company or industry in some way. Think of it as an extension of your profile photo. Adidas uses the space to showcase some of their customers, which can evoke more emotion than just a simple logo. Live Nation wanted to use their cover photo to showcase some of their fans at one of their concerts, which explains the type of industry they’re in and the work that they do. Dr. Pepper Snapple Group goes a little bit more traditional and simply showcases their product offering. And here at Kinsta, we went heavily into our branding colors and design to be consistent across the web. To help design your LinkedIn cover photo, consider using the online image editor Canva. They have a LinkedIn cover photo template that you can use, which makes the design experience very simple for users of any experience level. Or of course, you can also use a tool like Adobe Photoshop, Illustrator, or Affinity Designer. On the “Overview” page, visitors can find information about a company in both the “About Us” and “Recent Update” sections. When you begin to fill out the “About Us” section on your company’s page, consider how you can use the best keywords to optimize your page description. The keywords you place in the description can help increase your chances of being discovered by those actively searching for a business in your industry. But don’t just copy and paste from your website. Take the time to craft a unique welcome and target it to users who might find your page on LinkedIn. 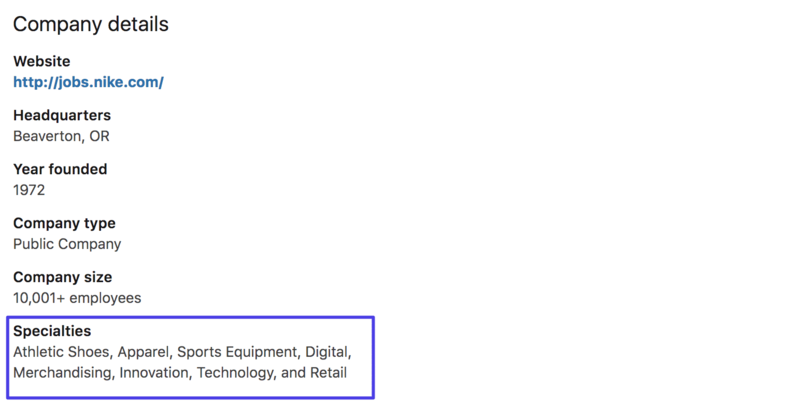 Nike appears to target “athletic footwear, apparel, equipment and accessories” as well as “sports and fitness activities” for their keyword terms. You should also add keywords under the “Specialties” headline at the end of the “Company Details” section. J. Crew weaved their product offering keywords into their “About Us” section in copy that they creatively adapted to entice the reader’s attention. Not only will they follow the page (which will be promoted in their recent activity) and share your content, but they will also add the page to their profile under their “Experience” section. This is prime real estate for you as it makes your page more visible through those who are invested and connected to the business. 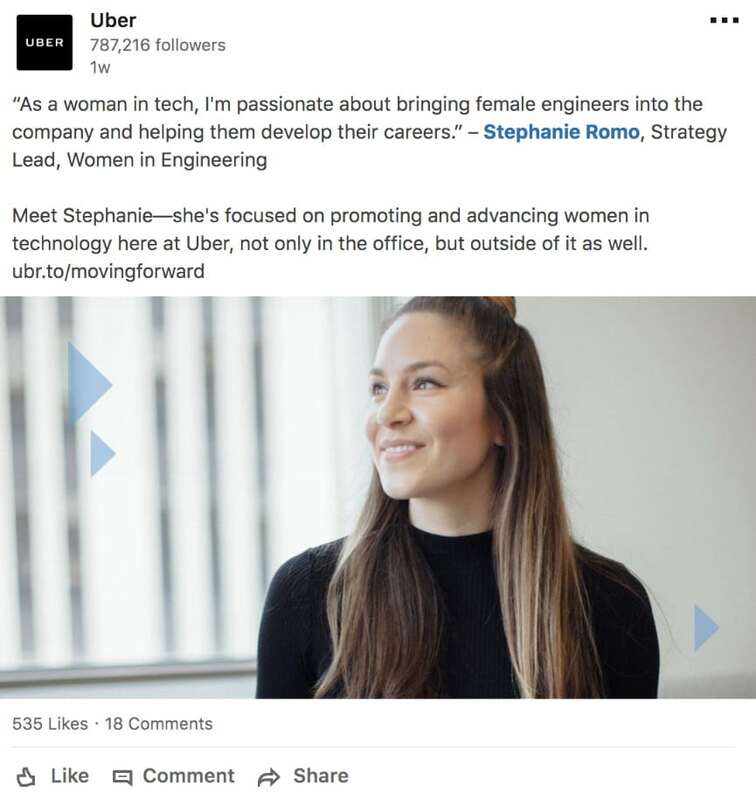 Uber introduced some of their employees and had them share a little bit about what it’s like to work for the company. 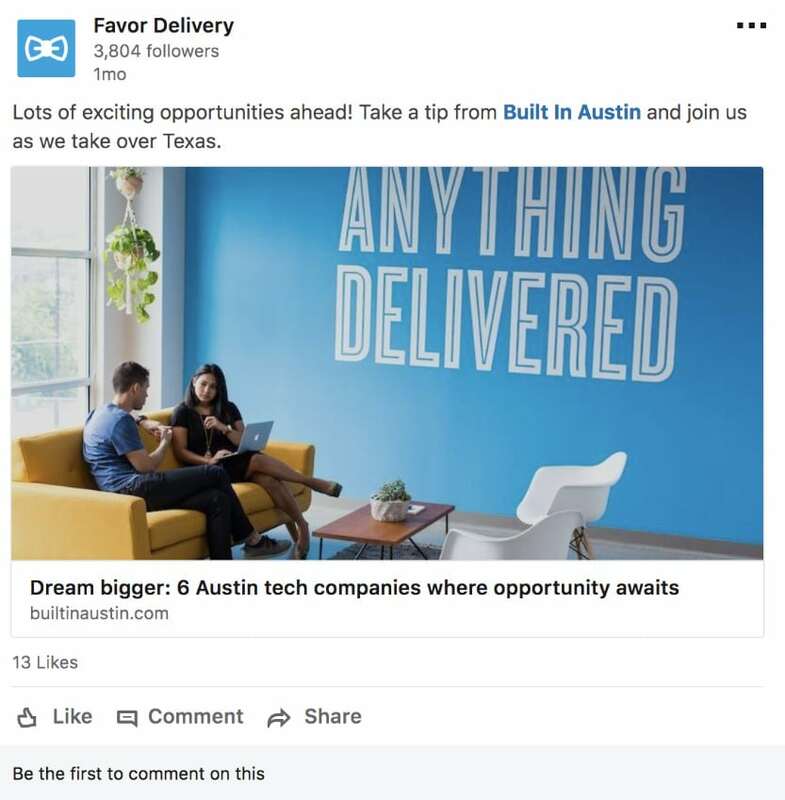 Favor Delivery shared some of the recent press they were getting from a popular blog. 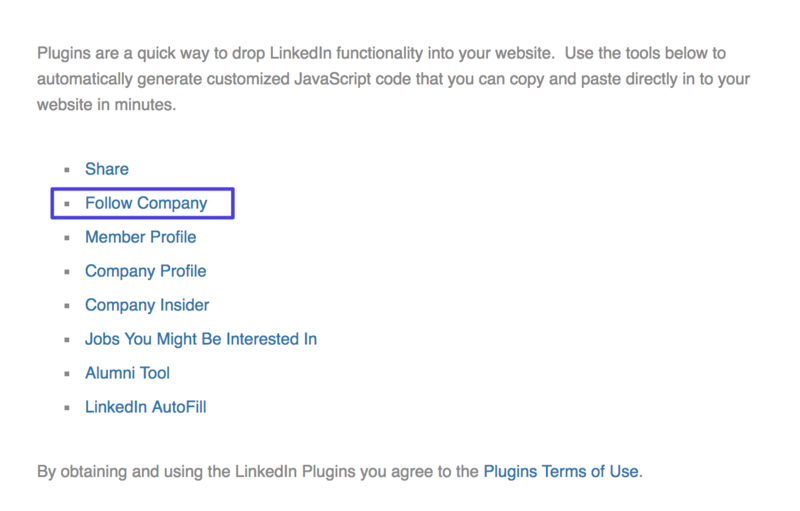 You can generate a “Follow Company” button for your website to direct traffic back to your LinkedIn company page in order to increase your following. To do so, start by visiting https://developer.linkedin.com/plugins and select the plugin you want. Simply copy and paste the code into your website, and you have successfully added the plugin. You can track and monitor your growth using the suite of insights in your company’s Analytics Dashboard. To access it, click the “Me” tab and then click your company page under the “Manage” header. Finally, you can click “Analytics” and see data to help you understand how your efforts are progressing. 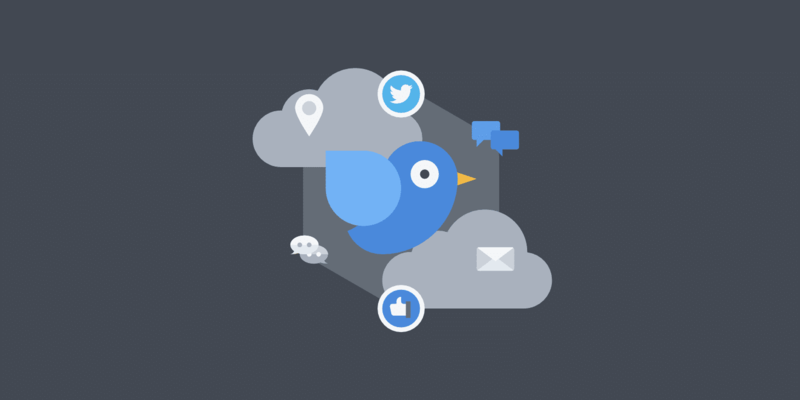 The analytics they offer fall under three broad categories: visitors, updates, and followers. Your visitor demographics will show how many people visited the site over a set period of time and through which medium (desktop vs. mobile). 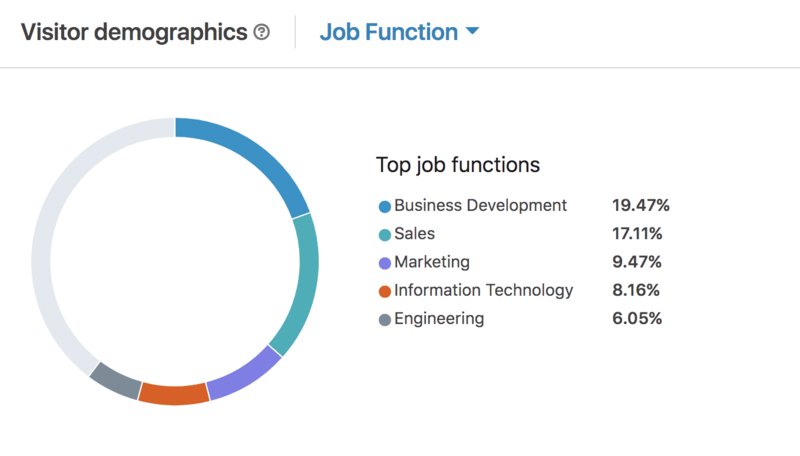 You can also see their jobs function and sort through other visitor demographics including country, region, seniority, and company size. Your update analytics will show information regarding how your posts and updates are performing on your company page. You can use this information to assess which types of content and topics your audience is responding positively too. Lastly, LinkedIn Analytics helps you track your follower growth. Which posts brought in the most followers? Did any campaigns cause a spike in your follower base? If you map your follower gain and losses, you can see how your audience is responding to your post frequency and content. 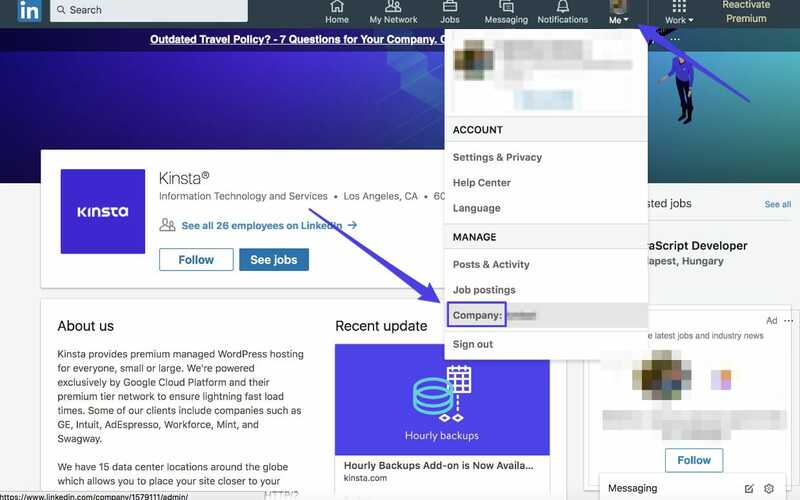 By sending out updates and optimizing your company page, you can begin to create more of an active online presence through LinkedIn. But don’t stop there. Now, you need to go on the offense and share your message and content with the world. LinkedIn Pulse is a great place to publish original, engaging pieces of content that can position your company as a thought leader, drive new traffic to your website, and generate more sales. It’s an important part of your content strategy. This should be a headshot of yourself that came from a professional camera. The recommended dimension for your photo is 400 x 400 pixels. This is one of the most important pieces of the page. Research shows that profiles with a professional headshot get 21x more views than ones that don’t have one. 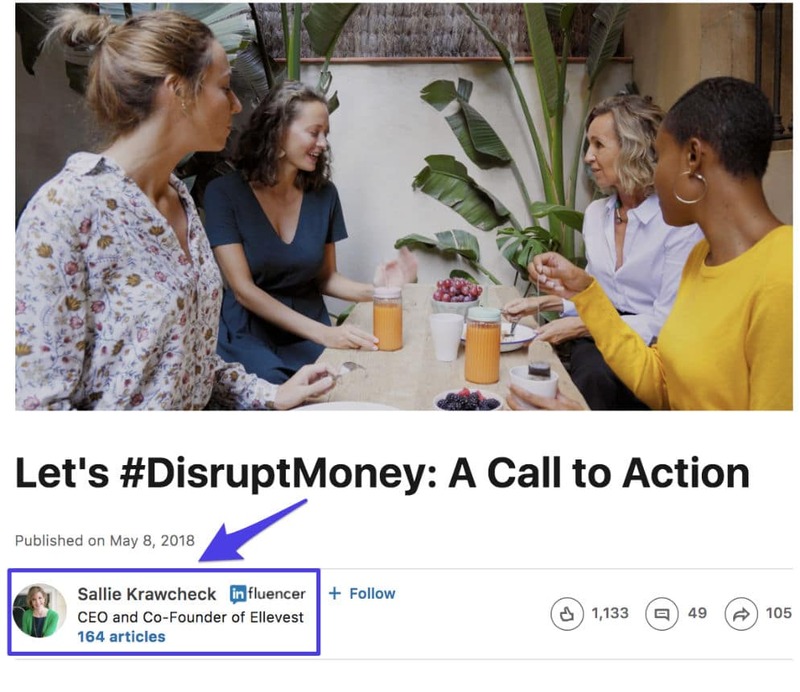 For example, Sallie Krawcheck, CEO and co-founder of Ellevest, has a professional headshot that she uses for her LinkedIn profile picture. It also appears on the posts she publishes on LinkedIn Pulse. 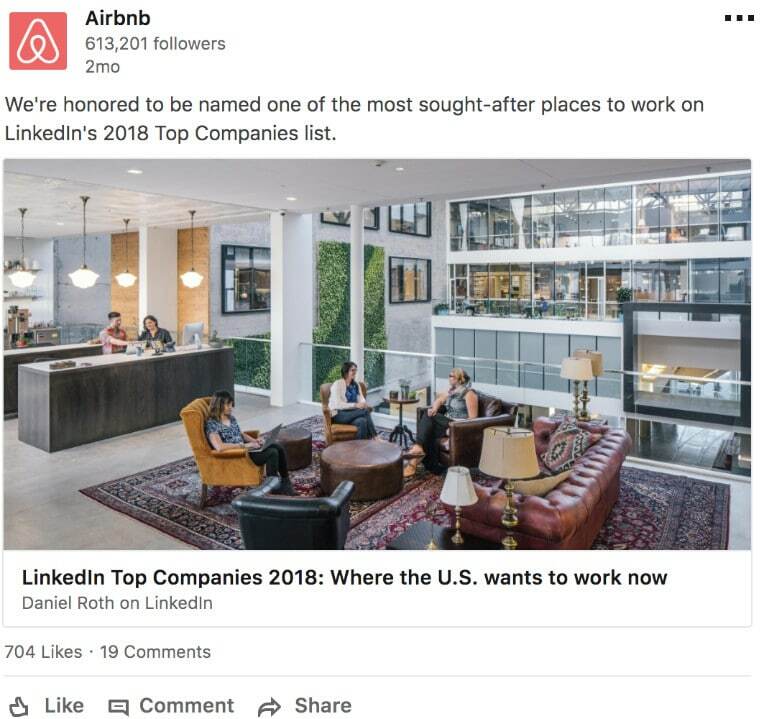 LinkedIn introduced header images in 2014 to provide users with a chance to showcase an image that aligns with their brand, mission, company, or industry. The file needs to be less than eight MB, and the recommended dimensions are 1584 x 396 pixels. Naomi Simson’s, a popular LinkedIn influencer. She’s using her cover photo to promote her upcoming project on Australia’s Shark Tank. This information will appear at the top of your LinkedIn profile, and it includes your current and previous positions, education, and the current city that you reside in. Beth Comstock, an author and business executive, includes all of her updated information to showcase a complete summary. This part of your profile gives you a chance to provide context for your previous work, jobs, and contributions. The text field allows a maximum of 2,000 characters in this space for users to share a professional summary of their career and what they are looking to get out of the site. 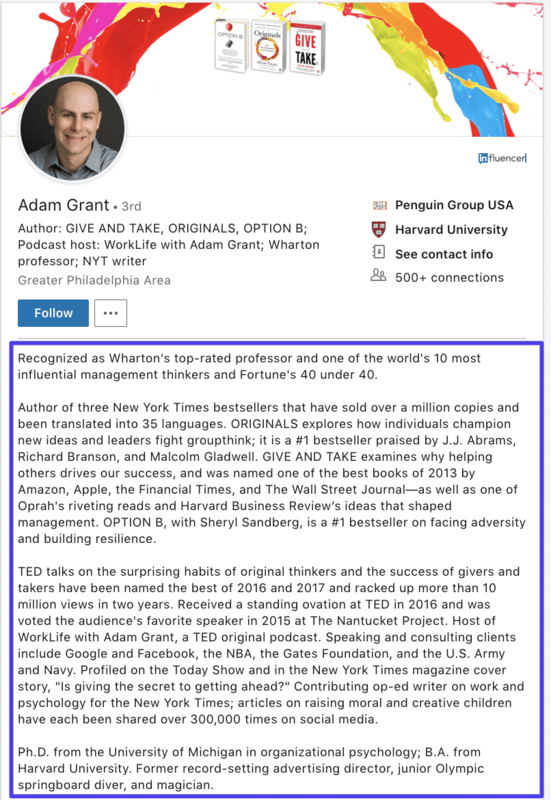 Adam Grant uses his background summary to showcase his background, his qualifications, and projects that he’s worked on. After the core of your LinkedIn profile is complete, you can then go ahead and update the optional areas that include experience, skills and endorsements, accomplishments, volunteer experience, certifications, and more. LinkedIn will even guide you through the profile setup process by tracking your progress with a “Profile Strength” rating meter. Setting all of this up takes time, but it’s worth the effort. After you publish your content on LinkedIn Pulse, your post will potentially show up in three places. Of course, it will appear on your profile. But it will also appear in your connections’ feeds. And, depending on the notification settings of your connections, it may appear in their notifications. Before we start dissecting the important parts of the post that you publish on LinkedIn Pulse, you need to understand how they differ from updates you share on LinkedIn. Updates are great for quick textual information, images, or links that you want to share with your network. Posts, on the other hand, provide a chance to dive deeper into topics in a way that is more comprehensive and extensive. There’s a lot to consider when creating content in 2018. Here are some tips to think about before you write your posts. While your text will likely make up the majority of the post, it’s always valuable to include images in the post. 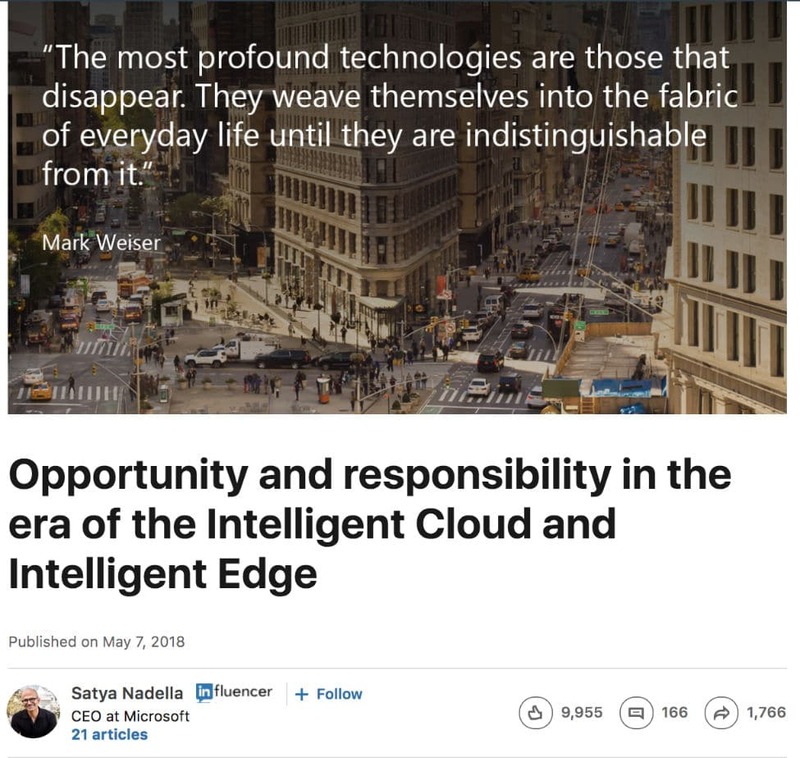 Alex Swallow used a flashy banner image to draw in readers in his post about LinkedIn articles. Subtly adding a few keywords, internal links, and external links to your posts can help your SEO. 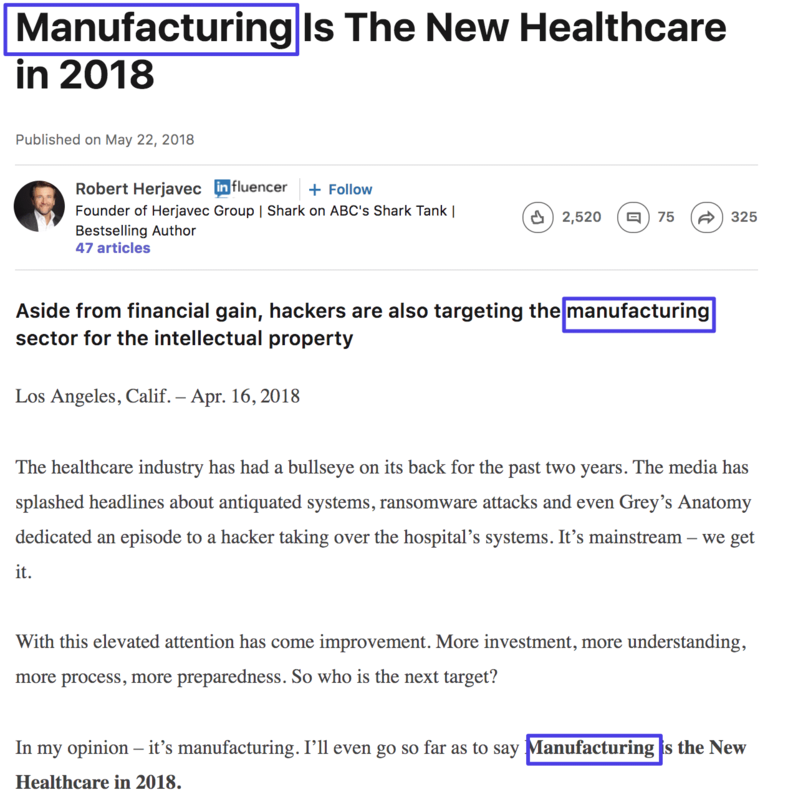 Robert Herjavec used the keyword “manufacturing” four times and the keyword “hackers” twice in his post. People who are searching on Pulse for hackings or cyber attacks on the manufacturing industry will likely come across his post since he added those keywords in the title and early in the copy of the article. If you have the bandwidth, it’s ideal to publish at least twice each week. If you can’t manage that, then publish as often as you can. Bill Gates, for example, publishes every five to seven days. Long-form content performs best on LinkedIn. 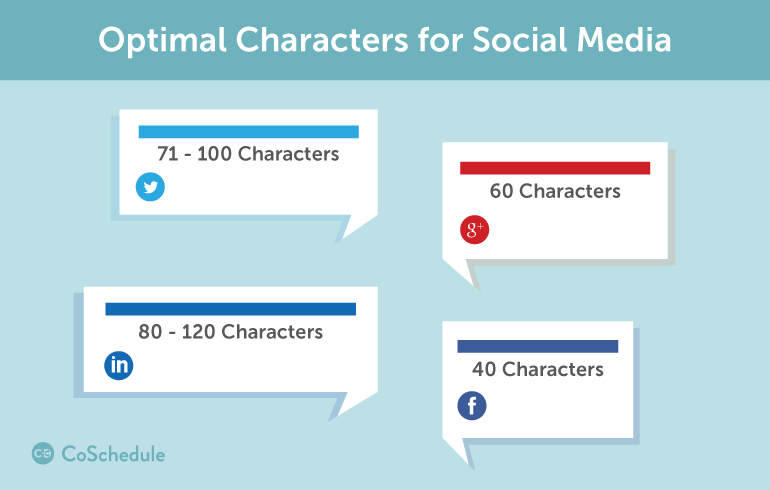 Research shows that posts in between 1,900 and 2,000 words receive the most engagement. A recent post from Satya Nadella, the CEO of Microsoft, is a good example. It’s a long-form piece with nearly 1,800 words. You should consider your character length when writing post headlines, too. Make sure that users can easily view your headline on a desktop browser and a mobile screen. On LinkedIn, it is recommended that you keep your headlines between 80 and 120 characters. If you keep all in this mind, you’ll create optimal content for your audience on LinkedIn. It’s a lot to manage, but your posts can yield great results. If you share high-quality educational content on LinkedIn Pulse, people will seek it out and engage with it. A recent study found that approximately 62 percent of LinkedIn users have engaged with content because it was educational or informative. In this way, you can use insightful content to acquire new customers. You now have an idea of how you can create quality content. But where should you go to find your customers? Simple: Go where they’re hanging out. They’re all gathered in communities focused on specific topics. These communities are called LinkedIn Groups. By joining groups and participating in discussions, you’ll provide your business with increased visibility. There are over two million groups on LinkedIn that cover a variety of topics. LinkedIn allows you to join 100 of them, so there is more than enough ground for you to cover. Jennifer Riggins from SEMrush recommends that you join 50 groups that are related to your industry. When determining which groups to join, she recommends looking for groups that have more than 100,000 members if possible. If your business relates to Ecommerce, then the group below would be a great one to join. It has nearly 110,000 members! But if you only have the time to invest in a few groups, then Jennifer recommends that you choose a couple of groups that have around 10,000 members. That way, you have a better chance of standing out in the groups you’re focusing your attention on. Determine whether it will be a closed group or an open group. Both types of groups have their perks. 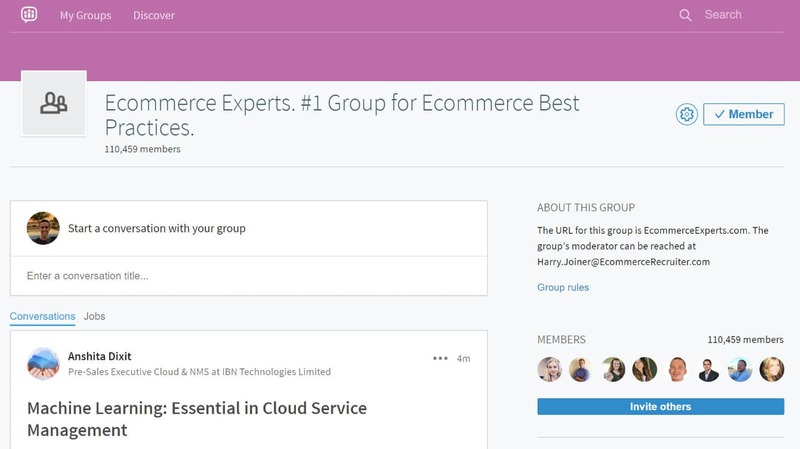 Closed groups require you (or a moderator) to approve applicants for entry into the group. This is helpful for keeping the discussion between those within an industry, but it can also be exclusive and time-consuming. Open groups allow for anyone to join, which can be great for mass exposure. But, it can also quickly get out of hand. Select great moderators. You want someone who will continuously post engaging questions and strive to get responses out of everyone in the group. There’s a lot riding on your moderator’s shoulders, so select wisely — the success of your group depends on it. Be active. After a while, people leave groups that become dormant. Make sure there are active discussions and content circulating through your group each week. LinkedIn Groups are a great way to casually network with prospects and even partners. Share knowledge and interact with others in your industry. You might find out that you have a solution through your product or service that will address one of their needs. There’s a lot you can do when running ads on LinkedIn. To start, LinkedIn offers fourt different types of ads: sponsored content, sponsored InMail, text ads, and carousel ads. Each serves a different purpose, and they appear in front of your potential customers in a variety of ways. 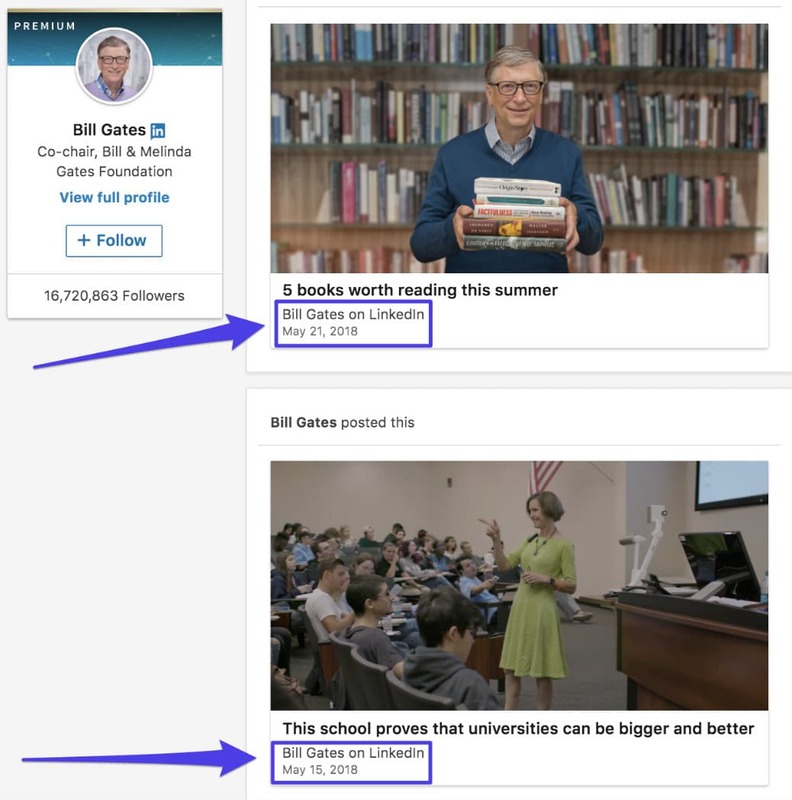 Sponsored content ads appear as posts natively in user feeds. These posts will say “Promoted” or “Sponsored” in the upper left-hand corner. Sponsored content ads can move the needle for businesses. 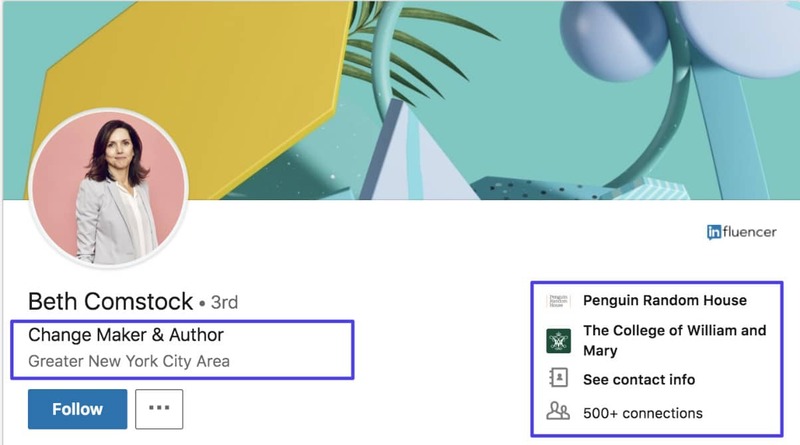 TREW Marketing ran a test to promote their book through sponsored content ads on LinkedIn. Their $50 test campaign resulted in 17,923 impressions, 37 clicks, two likes, two shares, three new followers, and seven downloads. Text ads appear in a bar at the top of all LinkedIn pages. They’re a great way to drive traffic to specific landing pages for your business. To run an effective text ad, make sure that you include your business name. That’s great brand recognition for your company even if someone doesn’t click on your ad. You’ll also need to use your space wisely. Text ads only allow 25 characters for a headline and 75 for a description. The last type of LinkedIn ads is sponsored InMail. These ads allow you to deliver messages and graphics directly to the InMail accounts of your prospects. In your LinkedIn campaign manager, you can run a sponsored InMail campaign by selecting the third option on the list. 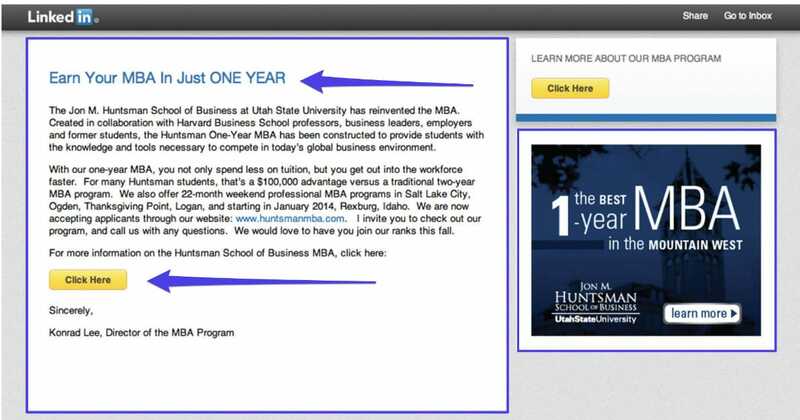 Utah State College used a sponsored InMail campaign to target prospective students. Below, you can see the sample headline, body copy, call-to-action, and accompanying graphic. They achieved an open rate of 27.5%, a twenty-to-one return on investment, and a 71% conversion rate on requests for information. 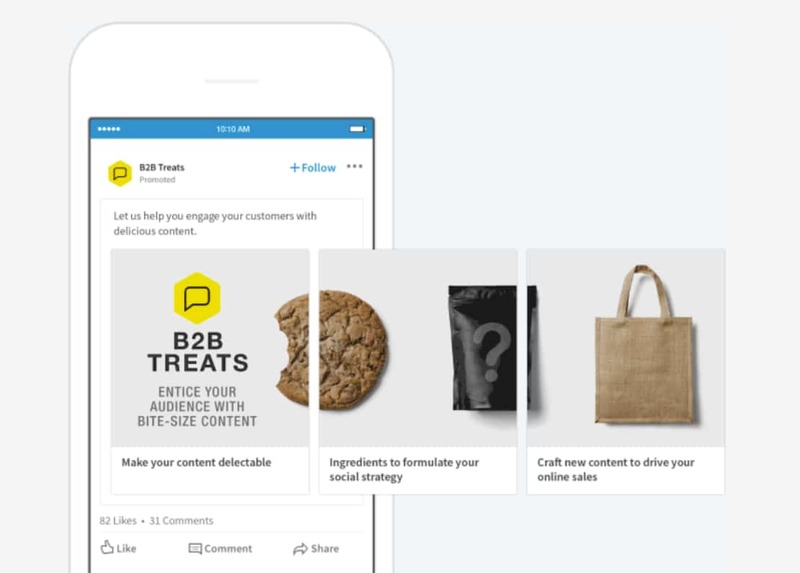 In June 2018, LinkedIn rolled out a new format of ads that enables you to have sponsored content in carousels. Advertisers can include up to 10 customized, swipeable cards. This allows you to create something really eye-catching as well as bundle up multiple offers. According to Marketing Land, LinkedIn included more than 300 advertisers in the beta run of its carousel ads and says nearly 75 percent of the test group saw a lift in click-through rates compared to their standard Sponsored Content campaigns. All four of these types of ads can be effective depending on your business needs. But if you want to see results, you need to target your ads effectively. 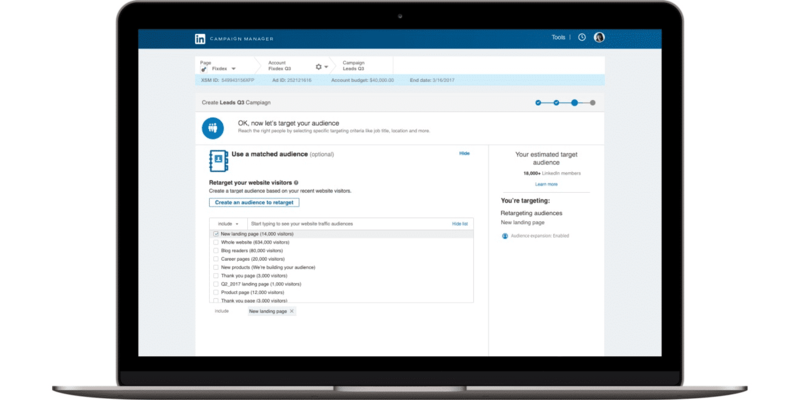 In 2017, LinkedIn released a “matched audience” feature so that you can better target your ads on the platform. You can use this targeting feature in several ways. You can upload a CSV with the names of companies you want to reach, upload a list of your customers or people you’re connected to, and retarget users who have visited your site. 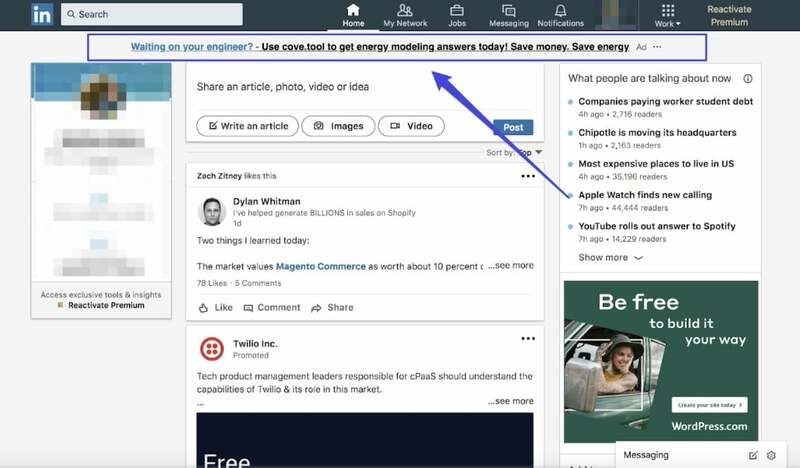 Like LinkedIn Pulse, SlideShare provides another way to share your knowledge on LinkedIn and acquire customers in the process. Users have shared 18 million pieces of content on SlideShare, and approximately 80% of SlideShare’s visitors find the content from targeted search. With so much potential, you should seriously consider tapping into this marketing resource. When publishing content on SlideShare, here are some ways that you can improve your chances of getting users to notice you. Note: SlideShare shut down their lead generation product in 2017. Including a call-to-action or a link to your website can direct your visitors straight to your website. This can be an effective way to acquire new customers and introduce them to your products or services. 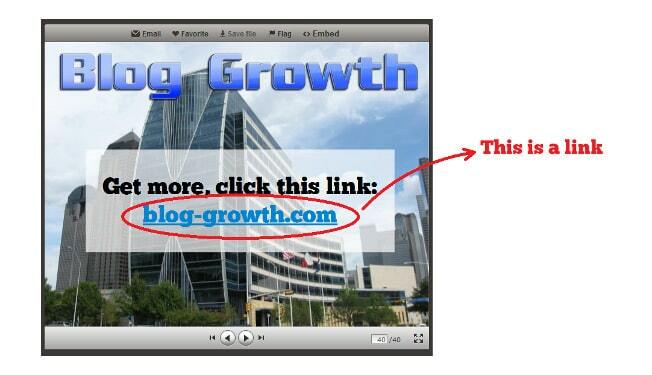 In the example below, Blog-Growth.com made their last slide a call-to-action with a link to their website. 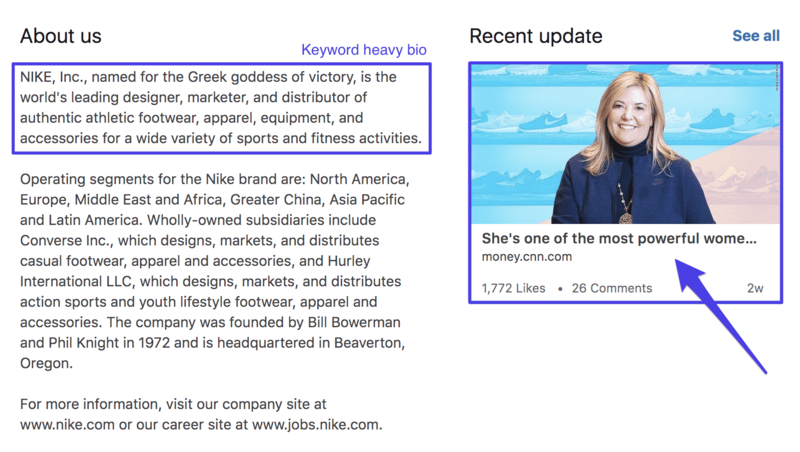 As with many other parts of your LinkedIn profile, you should use keywords in the title and description (although not excessively) to help increase your presentation or publication visibility. The keywords should be the perfect mix of what the piece of content is about and what your target audience might be searching for. 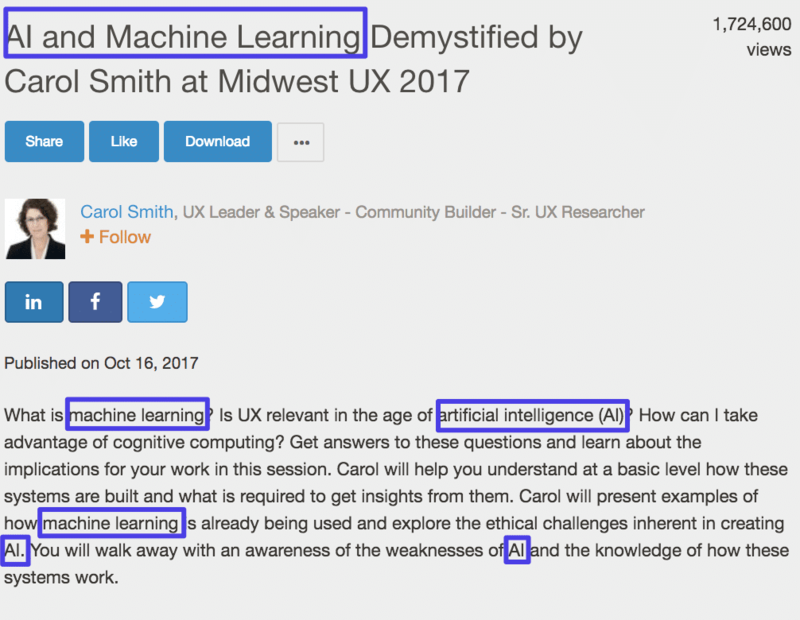 For example, this presentation on “AI and Machine Learning” includes those keywords prevalently throughout its slides. 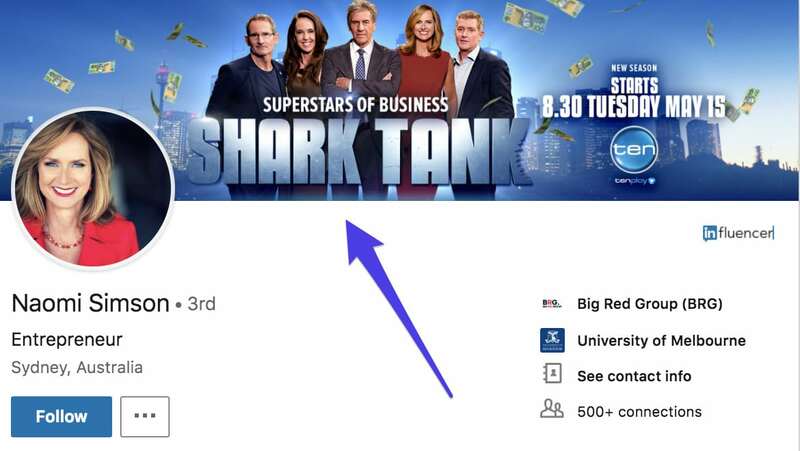 If you produce great content or have a popular service, SlideShare can also be a great way to get your own brand free mentions. Here is an example below of a talk Melanie did at WordPress DC and included Kinsta in her presentation. If your business has different brands, initiatives, or sub-businesses, then you should consider adding a LinkedIn Showcase Page for each one. 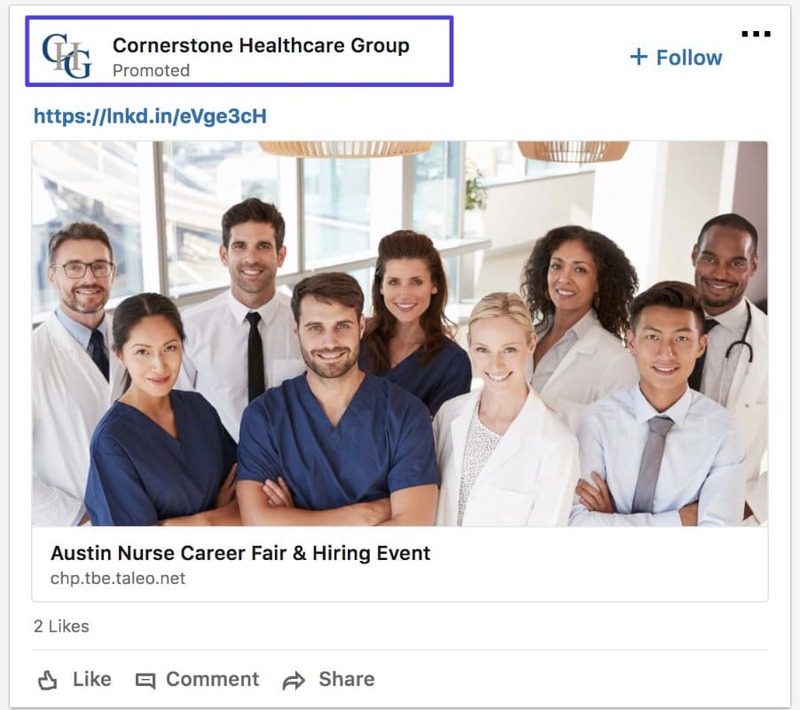 LinkedIn Showcase Pages are additional subpages that can show off additional brands or divisions within your company that you want to draw attention to. 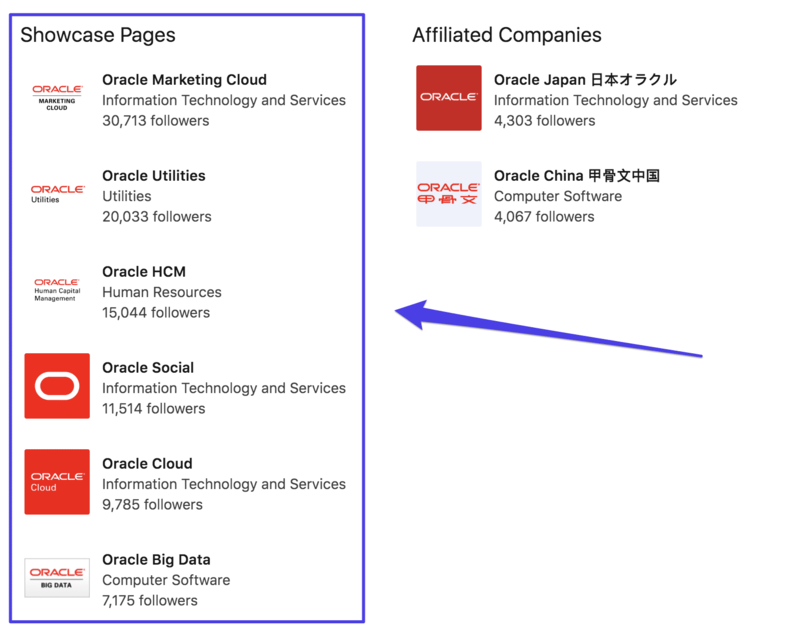 For example, Oracle uses Showcase Pages to highlight their various products that focus on different business management and marketing technology solutions. When creating and leveraging your Showcase Page, remember to use keywords and select relevant categories. 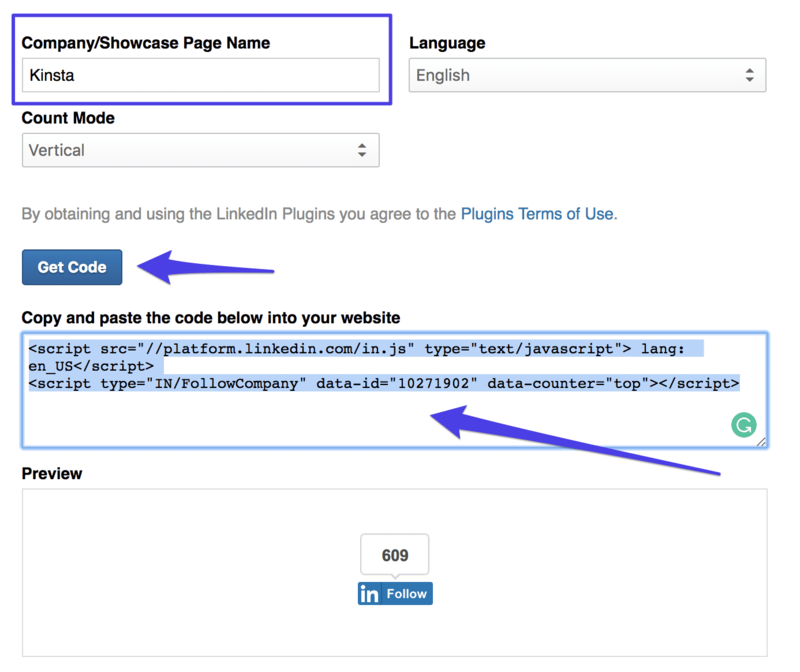 Like many other parts of the website, LinkedIn will index the Showcase Page into their search function. Categories will help them index it appropriately. When possible, you want to select a category that accurately describes the page and also overlaps with what your target audience might be seeking. For example, Google’s numerous Showcase Pages all fall under various categories depending on their functions. You also want to be mindful of the content that you post on your pages. As much as possible, you want to post content that has a specific focus. For example, Microsoft used Showcase Pages for their main products like Microsoft Dynamics 365 and Microsoft Office. 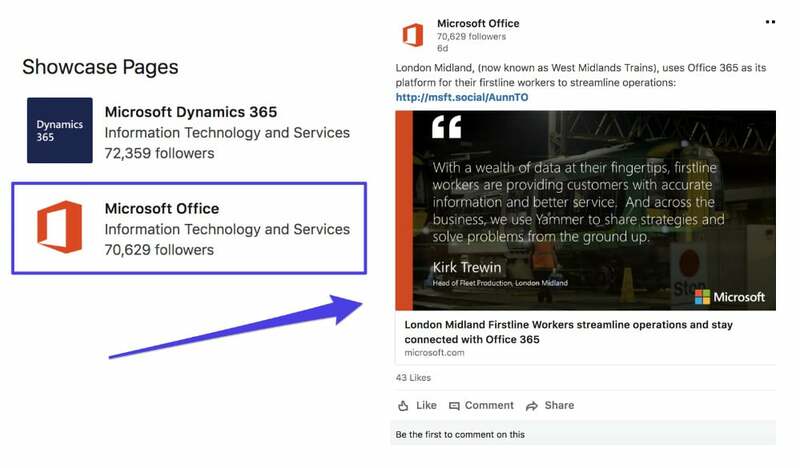 On the Microsoft Office Showcase Pages, they are able to post content that is directed solely toward people who use the corresponding product. With Showcase Pages, you present different products or parts of your business in a new light and share specific updates with audiences who are interested in that information. LinkedIn Sales Navigator is a tool that you can use to improve and foster customer relationships. It’s an effective way to source leads and increase your sales. 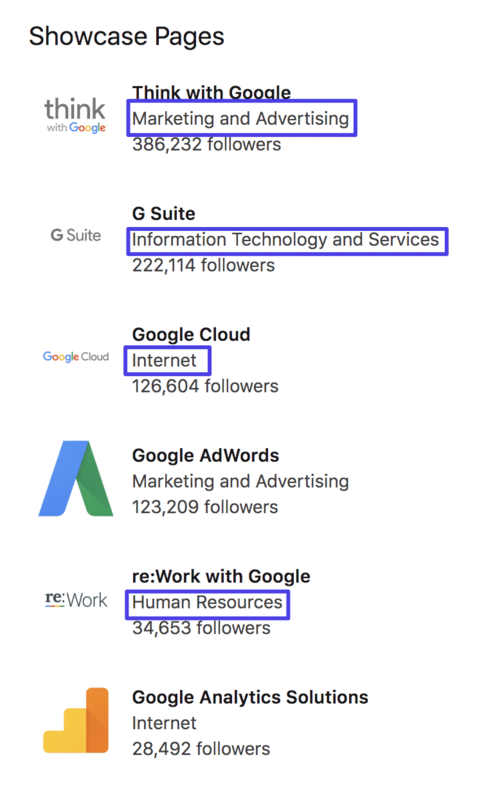 A study found that businesses that use LinkedIn Sales Navigator have seven times more pipeline growth and eleven times more revenue growth than businesses that only use LinkedIn.com. In LinkedIn’s Sales Navigator, you can use the lead builder tool to source prospects and convert them into customers. It has an advanced search function that enables you to apply twenty filters to your searches. You can search by keywords, company, location, title, function, seniority level, company size, industry, and more. After you sort through the results, you can save your findings as a lead list that only you can see. 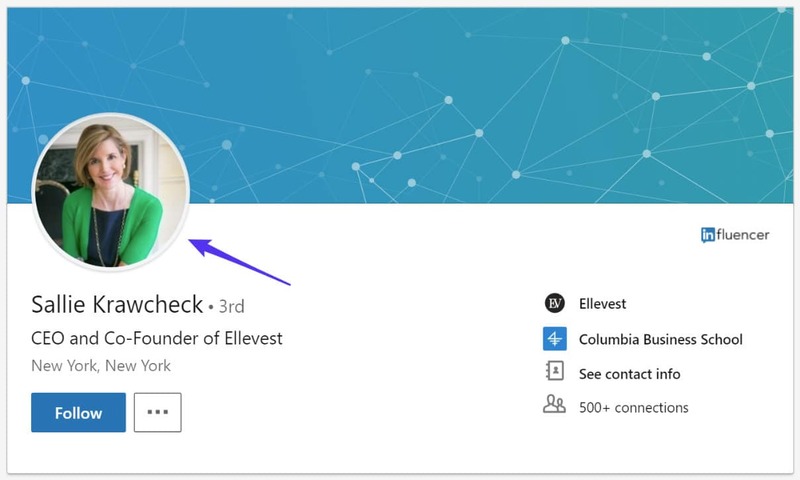 Before you reach out, review the TeamLink Connections section and see if there is anyone in your network who could connect or introduce you. Paypal Australia used Sales Navigator and achieved a 3000% ROI. They used the tool to find the correct decision-makers in their targeted companies and had incredible success. They spent $10,000 on Sales Navigator, but they estimated that it procured at least $300,000 in additional revenue in the first year they used it. 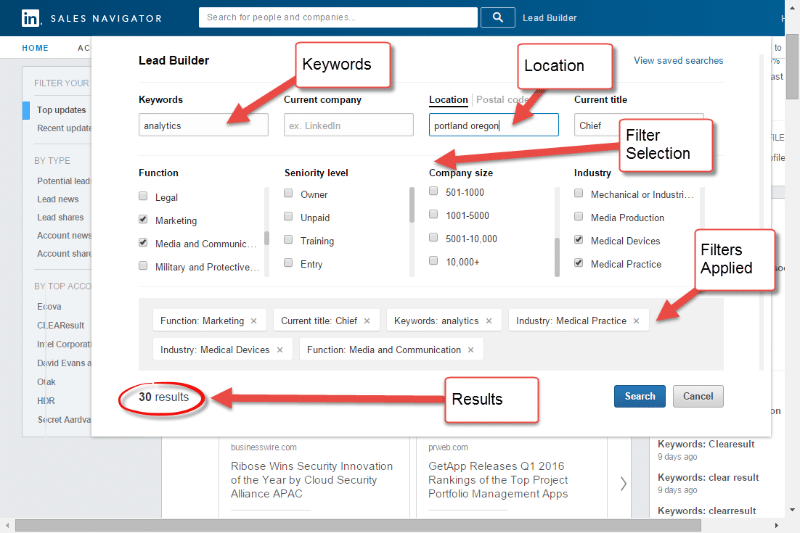 LinkedIn Sales Navigator could be the secret weapon your sales team needs to dramatically increase your company’s sales. Growing your network connections on LinkedIn is an incredibly easy way to get more eyeballs on your brand and generate more leads. When it comes to LinkedIn, the more network connections you have the better. But you also want these to be quality and targeted connections. Here’s a little trick on how to quickly increase your network connections. Figure out who you think would be the best possible customers for what you’re selling or the target demographic you’re going after. Go over to LinkedIn and input this into the search box. In this example we want to connect with more WordPress developers. Click the “People” tab to sort by LinkedIn profiles. Scroll down the page and click “Connect” on each profile to invite them to connect with you. Not everyone will connect with you as this is a cold invitation, but if you do this strategy a little bit every day you’ll soon have a big network of targeted connections. We’ve personally seen this turn into new customers and generate some amazing conversations, including content collaboration opportunities. Focus on optimizing your company page. 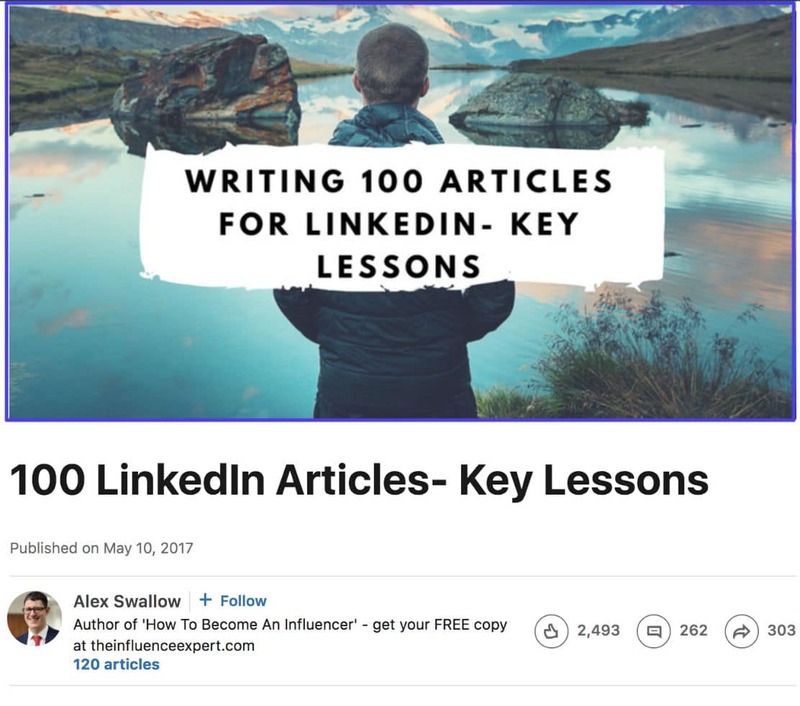 Next, position yourself as an expert on your subject matter on LinkedIn Pulse and publish long-form content to share with your network and extended audience. Expand your network in LinkedIn groups. Partake in conversations and form new connections. Run LinkedIn ads and use matched targeting to reach your audience. Highlight different parts of your business on LinkedIn’s Showcase Pages. Turn prospects into leads with LinkedIn Sales Navigator. Once you do all of these things, your LinkedIn pages will serve as a viable hub for your business, attract new customers, and impact your bottom line. Great LinkedIn optimization tips, Brian! Totally agree that LinkedIn can make a big impact in generating leads whether for the purpose of increasing your brand or individual online visibility. Thanks Dustin! Yes, we’ve found wins on LinkedIn both for B2B and B2C. I know Linkedin is a great way for the lead generation but i wondered after saw the Hobspotimage about Lead Generation. I agree with the Brand Page optimization tips that you shared and here i learn something new. Sharing in Slide-share is completely new for me and i will love to try Linkedin ads for L.G.